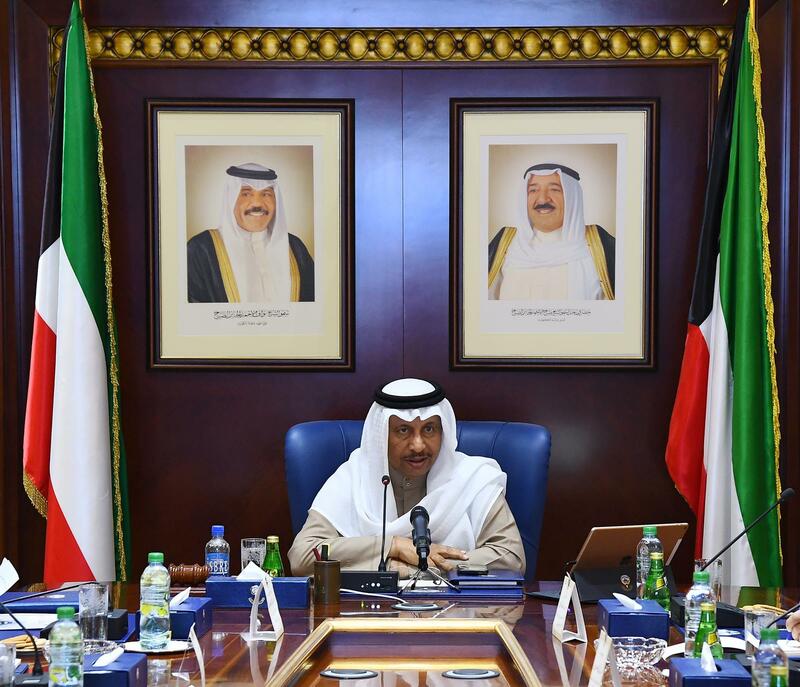 KUWAIT, March 18 (KUNA) -- Government preparations to launch an overall grid plan; with a focus on execution and maintenance of roads, was the emphasis of a miniature cabinet meeting that was headed by His Highness the Prime Minister Sheikh Jaber Al-Mubarak Al-Hamad Al-Sabah on Monday. "Holding those responsible for shortcomings accountable and fixing damages as soon as possible are the most important issues to be addressed," said His Highness the Premier during the meeting, which included Deputy Prime Minister and Interior Minister Sheikh Khaled Al-Jarrah Al-Sabah, Minister of State for Cabinet Affairs Anas Al-Saleh, Justice Minister and Minister of State for National Assembly Affairs Fahad Al-Afasi, Minister of Public Works and Minister of State for Housing Affairs Jinan Ramadan, in addition to high-level state officials. "What is happening cannot be tolerated or accepted. We have to shoulder our responsibilities towards citizens in this regard, as streets do not belong to us; they are for the public. What has happened is regrettable," His Highness said, stressing that the government is an "honest opponent, but, whosever unrespectable and inconsiderate of the public's interests could never be respected nor forgiven." On his part, Deputy Premier and Interior Minister Sheikh Khaled Al-Jarrah, said that the aggregate of rain pours the country recently witnessed was equivalent to a year's average. "The mistakes made amount to a crime against Kuwait and the Kuwaiti citizen," he stressed. Describing the maintenance process as "long and grueling," Sheikh Khaled Al-Jarrah explained that such major challenge will begin by fixing the roads through the closing of one lane and leaving the rest open, while using the safety lane, which, according to the deputy premier, would save up to 50 percent of maintenance time. Meanwhile, Minister Al-Saleh said that as a "deterrent" penalty, the state's Central Agency for Public Tenders asked concerned government bodies, as well as the private sector, to provide it with names of companies with failing projects in order for them to be disadvantaged of future tenders. To that, Justice Minister and Minister of State for National Assembly Affairs Fahad Al-Afasi, explained that there are two sides of applying punitive penalties on those involved in roads' mismanagement; penal and civil. Minister Public Works and Minister of State for Housing Affairs Jinan Ramadan noted that concrete steps have already been taken against violators of Item-4 of Article 85 of the Central Agency for Public Tenders' law.